New research conducted on bats from Northeast Missouri hopes to curb the spread of white-nose syndrome. 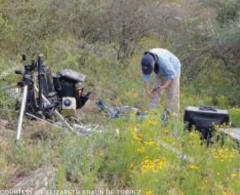 Scientists released treated bats in celebratory fashion on the cave grounds, signaling a potential breakthrough in the fight against WNS. Wildlife biologist Sybill Amelon, foreground, reacts as others prepare to reintroduce bats treated for white-nose syndrome on the grounds of the Mark Twain Cave Complex. Despite a reputation that might suggest otherwise, bats play a critical role in the ecosystem. 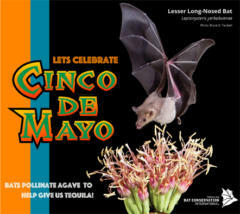 Bats contribute to plant pollination, seed dissemination, insect control, plant science and medical research. 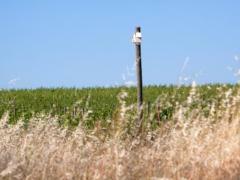 Tomosy said the value of bats to the agricultural industry surpasses $23 billion. Mark Twain Cave complex owner Linda Coleberd said the campground has no insect problem. “We have no mosquito problem and it’s because we have these wonderful bats,” she said. It’s hard to put in perspective how important bats are to the ecosystem, according to Katie Gillies with Bat Conservation International. “If you enjoy bananas, or cashews, or tequila, you can thank bats,” she said, likening bats to birds or bees. On a chilly day in January in Hannibal, Missouri, Kirsten Alvey-Mudd made a grim and heartbreaking discovery — a mass grave one mile south of Hannibal. The victims — bats, not humans — comprised the first mass mortality event in Missouri caused by a killer that has so far claimed more than 5.7 million bat lives: white-nose syndrome (WNS). Choked up, Alvey-Mudd — executive director of the Missouri Bat Census — recalled the remains of bats at the Mark Twain Cave complex had commingled into a large pile of fur and bones, making a death count nearly impossible to realize. “This was hard then and it’s hard now,” she said to a group of scientists and bat enthusiasts at Cave Hollow Winery Tuesday, May 19. 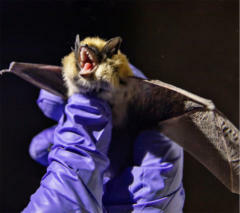 White-nose syndrome is “among the most devastating wildlife diseases in recent memory,” according to Monica Tomosy, National Wildlife Research Program Leader. But new research conducted on bats from Northeast Missouri hopes to curb the spread of WNS. Scientists released some of those bats in celebratory fashion on the cave grounds, signaling a potential breakthrough in the fight against WNS. Alvey-Mudd said she cried for 30 minutes after the grim discovery on Jan. 27 with Linda Coleberd, owner of the Mark Twain Cave Complex. 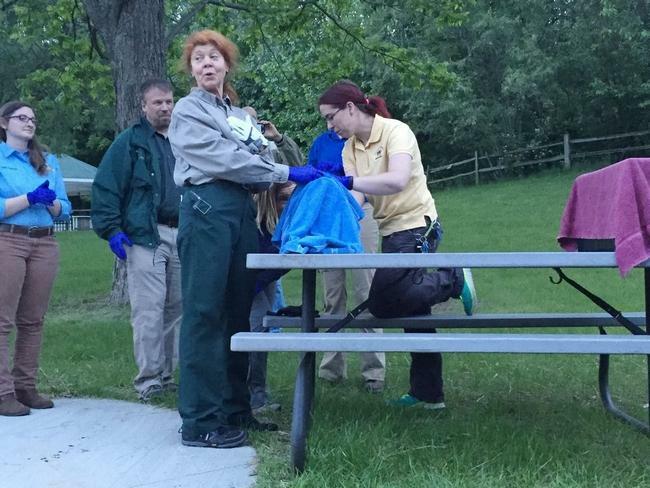 Tears of sadness, disbelief and devastation from months ago turned into smiles of fulfillment as about 60 little brown bats flitted into the waning light Tuesday night. These creatures have a new shot at life, thanks to groundbreaking research by scientists at Georgia State University and Sybill Amelon, a research wildlife biologist with the U.S. Forest Service based in Columbia, Mo. 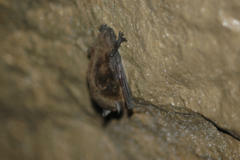 The bats released at Mark Twain Cave were treated with bacteria that researchers hope will act as an inhibitor to the fungus that causes WNS. Oddly, the treatment used on the bats began outside the animal kingdom entirely and in the world of food. “And it came me that if this bacterium can inhibit the growth of mold on a banana, then there’s a shot that it can prevent the growth of mold on a bat,” Cornelison explained. Through a grant from Bat Conservation International, Cornelison’s work expanded. The Missouri Department of Conservation got involved. So did the U.S. Forest Service. And the U.S. Fish and Wildlife Service, Nature Conservancy, Missouri Bat Census and other organizations and individuals dedicated to stop the spread of the epidemic. A team collected infected bats from Hannibal and throughout Northeast Missouri. Sick bats received the bacteria treatment in February and began to show signs of improvement — enough for reintroduction into a natural habitat. “There are a lot of challenges ahead of us, but I know with the team we’ve assembled, we will be able to be successful,” Cornelison said. 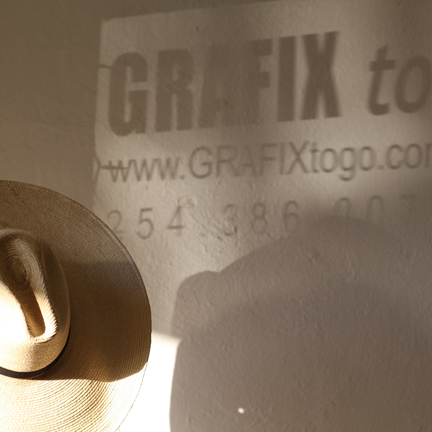 Everyone in attendance shared that sense of optimism, acknowledging the large amount of work yet unfinished. “We truly feel as if this is the very first step,” Amelon said before plucking a bat out of box. “But we are very, very encouraged from what we see in both the lab and here at field sites.” A minute or so after Amelon said those words, several bats took “victory laps” around the lawn of Cave Hollow Winery, disappearing into the trees. Just a short walk from where she made the gruesome discovery five months ago, Alvey-Mudd held her hands to her lips, telling the bats the fly again. White Nose Syndrome is an invasive pathogen believed to originate in Europe. It’s a spore that attaches to bats’ wings, in essence leading to their decay. Infected bats develop white fungus around their muzzles and on their ears and wings. The disease can interrupt hibernation, when the mammal’s immune system is at its weakest. The disease has so far killed more than 5.7 million bats in the U.S. and Canada. Scientists first discovered WNS in upstate New York in 2006. Throughout the next few years, cases popped up in New England, then Appalachia, and then the Midwest. In 2010, Pike County, Mo. became the first site in the state to test positive for the fungus that causes WNS. 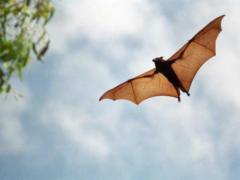 In 2011-2012, three bats tested positive for the disease in a cave in Lincoln County. With WNS in Northeast Missouri, regular monitoring of Mark Twain Cave began shortly after the diagnosis in Lincoln County. Alvey-Mudd and other volunteers with the Missouri Bat Census began swabbing the bats to test for WNS at the cave, one of the largest habitats in the state for the little brown bat. Seven of 23 bats tested positive for the fungus in Hannibal. Four displayed mild symptoms of WNS. WNS has also spread to central and southern Missouri and continues to spread throughout the country as far south as Mississippi, north to beyond the Great Lakes and west to the Kansas/Missouri border.